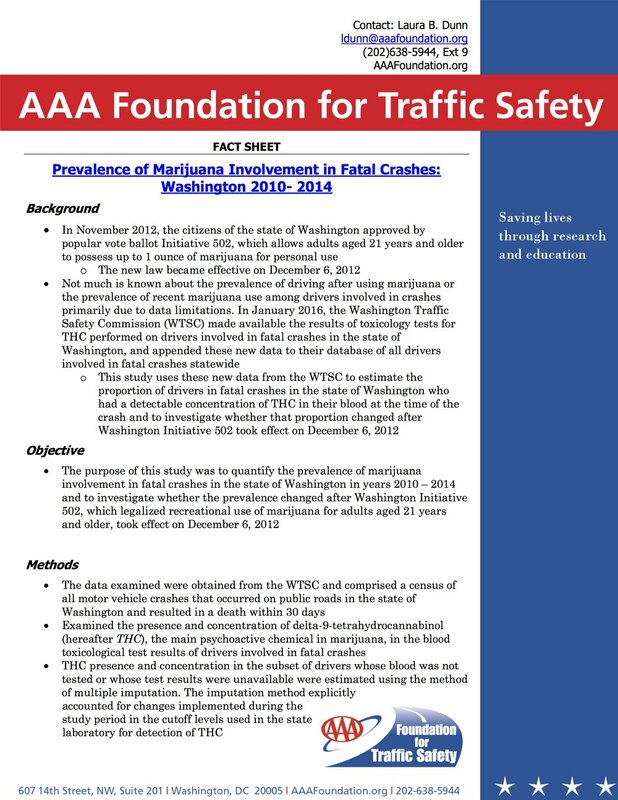 The AAA Foundation for Traffic Safety recently finalized a study on the Prevalence of Marijuana Use Among Drivers in Fatal Crashes: Washington, 2010-2014. They found that from 2010 through 2013, the estimated number and proportion of drivers involved in fatal crashes who had a detectable concentration of THC in their blood doubled from 2013 to 2014 after Initiative 502 took effect. 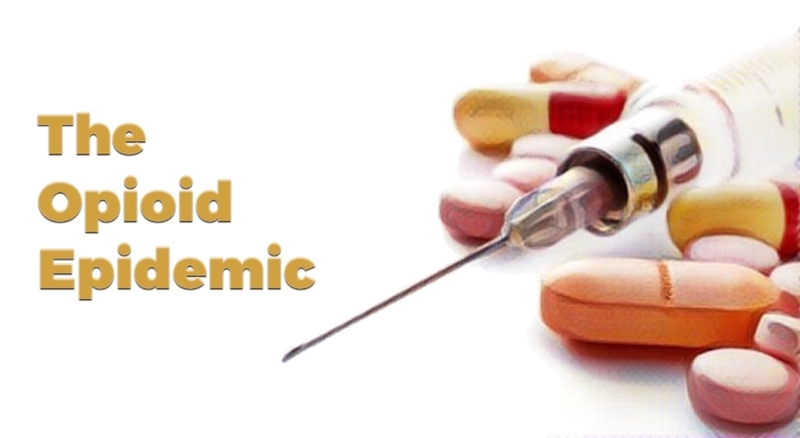 From their analysis it appears that after Initiative 502 took effect there was a relatively stable amount of deaths where people had detectable concentration of TCH in their system. About nine months after the initiative was passed, there was a significant increase. Quarterly average proportion of drivers involved in fatal crashes who were positive for THC and modeled seasonally-adjusted linear trend before and after Washington Initiative 502 took effect on 6 December 2012 legalizing recreational use of marijuana for adults aged 21 years and older, Washington, 2010 – 2014. Taken from report. You can read the final report, see the slideshow, or find out quick information in their fact sheet. about a free one day conference that is happening next week. 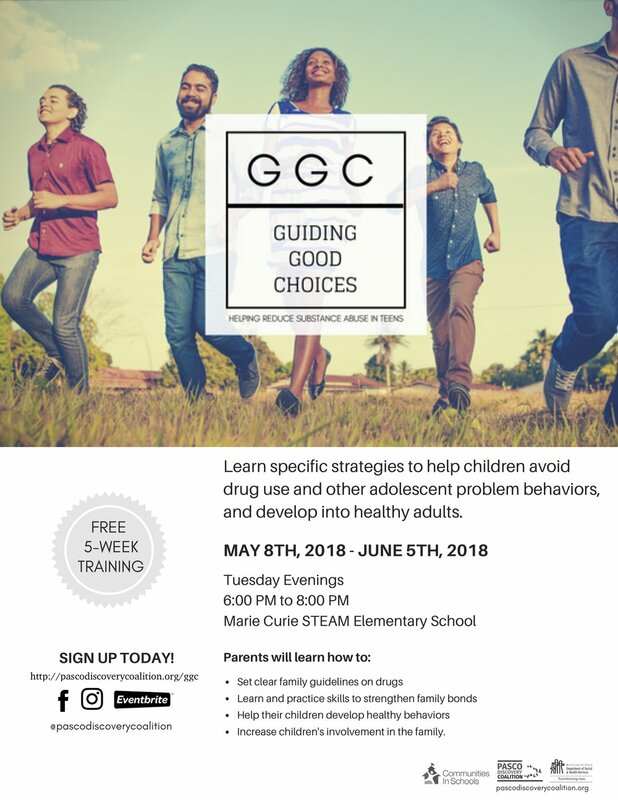 It is being sponsored by Quincy Communities that Care, Together for Youth, North Central Educational Service District, Grant County Health District, Grant County Prevention and Recovery Center, Washington State Department of Health, and Okanogan County Community Coalition. Download a PDF version of the flyer. You can also view the various events in the calendar.